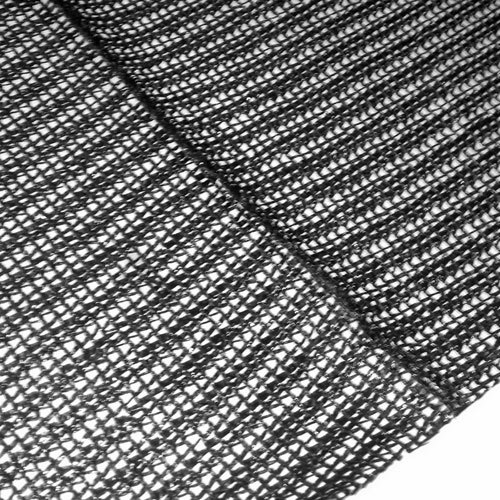 Bulk shade cloth has an unfinished edge that does not include reinforcing tape or grommets. Unlike woven shade cloth, the tough, lockstitch construction of our knitted material will prevent unfinished edges from unraveling. Bulk shade cloth can be easily cut with a sharp pair of scissors to any desired size. Bulk pieces can be attached using snap grommets, zip ties or other fastening methods. Depending on the size ordered, your shade fabric may contain a factory seam. A $20 minimum order charge will be applied to bulk shade cloth purchases less than $60 in value. This charge will be added if the total value of your bulk shade cloth purchase is less than $60 (not including other products, accessories, sales tax or shipping). Please contact Greenhouse Megastore customer service if you have any questions regarding this fee. Call a Sales Representative at 1-888-281-9337 to place quantity orders. Purchase orders are accepted from schools and institutions. Visit our Custom Shade Clothpage to order a custom sized piece. When hanging shade cloth pieces larger than 100 sq. ft., you may need extra center support to prevent the cloth from sagging in the middle. One easy way to do this is by running lightweight cable from corner to opposite corner, forming an X pattern that the cloth can rest on. For pieces larger than 400 sq. ft., you may need cables running end to end every 4' or so. Bought this to cover my 20 x 24 greenhouse as the temperatures were causing the plants to have heat stress. The cloth fits perfectly over the greenhouse and provide the needed shade to make my plants happy!I would recommend this product to anyone living in the south so that they can extend their growing season and conserve water. I love this fabric. Our ranch has absolutely NO TREES and we had to use this shade for the garden. It worked wonderfully! The netting is excellent, I was impressed with the speed of delivery, service is very good also. Good job! I have mounted some black, 70% shade cloth on top of two arbors in my back yard to create extra shade. I mounted the cloth by screwing through it with small screws and washers. Seems to be working well. The cloth was easy to unroll and screw down. It has only be a few weeks, but it looks like there is no risk of the cloth falling apart where I cut it.